Mechanical Engineering is one of the most evergreen as well as the oldest branch of engineering. The importance of Mechanical Engineering was realized in the 19th century when industrialization was at its peak. However, Mechanical Engineering has now evolved to a great extent. Mechanical Engineering is not just limited to thermodynamics, mechanics and, motor vehicles but has expanded vastly to adapt to the current needs of technology. The scope of Mechanical engineering is very likely to increase especially in the automobile sector. Mechanical Engineering is the application of various concepts of physics, mathematics and, chemistry to design and manufacture equipment and machines that simplify or fasten our work. From small parts of a Boeing engine to automation and robotics used in mass production factories, mechanical engineering is a crucial part of our life. Here’s an insight into the scope of mechanical engineering. Aerospace Engineering is one of the most challenging and interesting fields of engineering. Aerospace engineers find a number of job opportunities in the aviation sector, spacecraft manufacturing companies and, defense organizations. Aerospace is one of the fields of Mechanical Engineering that has good scope in defense sector. As an aerospace engineer, you will be employed in designing, testing or manufacturing of high tech, reliable and robust aircrafts, hypersonic aircrafts, satellite launch vehicles as well as missiles. Many gov’t organizations like ISRO, DRDO, HAL hire aerospace engineers. Aerospace engineering is an ever-evolving field full of opportunities in the future and with more and with more private players emerging into the scene, job prospects for aerospace engineers are getting better. Automobile Engineers deal with designing, manufacturing and, operating all kinds of vehicles. With increasing demands of producing environment-friendly vehicles which cause less pollution, the road for automobile engineers is both exciting and challenging. From designing modern day no pollution electric cars to designing world’s fastest cars, automobile engineering is a thrilling field for those who love cars. As per an article published in Hindustan Times, it is estimated that India’s share of vehicle market is likely to increase from 2.5% to 8% within a few coming years, signifying an increase in demand of automobile engineers in the future. 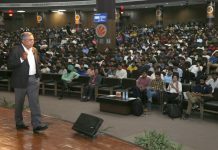 Top recruiters for automobile engineers include Toyota, Ashok Leyland, Maruti Suzuki, Renault, Audi, Bajaj Auto, Volkswagon, etc. Mechanical Engineering is one of the oldest fields and also the most evergreen. Almost every industry requires mechanical engineers. From researching and developing better machines to testing and managing production in an industry, all these roles come under the domain of a mechanical engineer. There is a wide scope of mechanical engineering in Manufacturing industries, aerospace and automotive industries, gov’t organizations, PWD and, defense sector as they seek mechanical engineers and also offer a good salary with handsome growth opportunities to B.Tech graduates. However, career growth varies from individual to individual depending on their skills. Mechatronics Engineers can opt for jobs in R&D or manufacturing sector of a manufacturing company after completing their B.Tech. The required skill set is acquired during their 4-year degree engineering in college. Timely adaptation to industry standards and requirements helps the students secure good job positions in the industry and increase the scope of Mechanical Engineering. A good understanding of social and environmental responsibility. Ability to recognize the need to adapt to and learn new and modern technologies. Well versed with the software needed by mechanical engineers like MATLAB, CREO/Pro-E, etc. 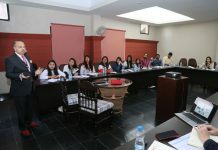 LPU School of Mechanical Engineering(LSME) prepares students from day 1 from the industry point of view and enforces practice-based teaching. 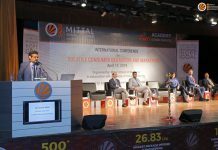 Students are given experiential learning and taught about latest advancements in the field of Mechanical Engineering through guest lectures, industry visits and, workshops. As a student of LSME, you will be skilled at industry-specific software like MATLAB, CREO/Pro-E, etc..
Our curriculum is industry-endorsed and rigorously designed to help you acquire the right skills. 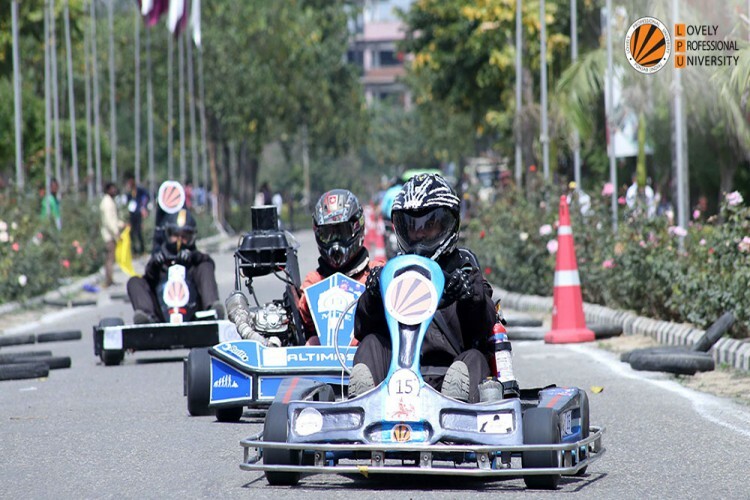 You will get the chance to be a part of international car design and hybrid vehicle design competitions like Effi-cycle, Asian Solar Challenge, Go-Kart, etc.